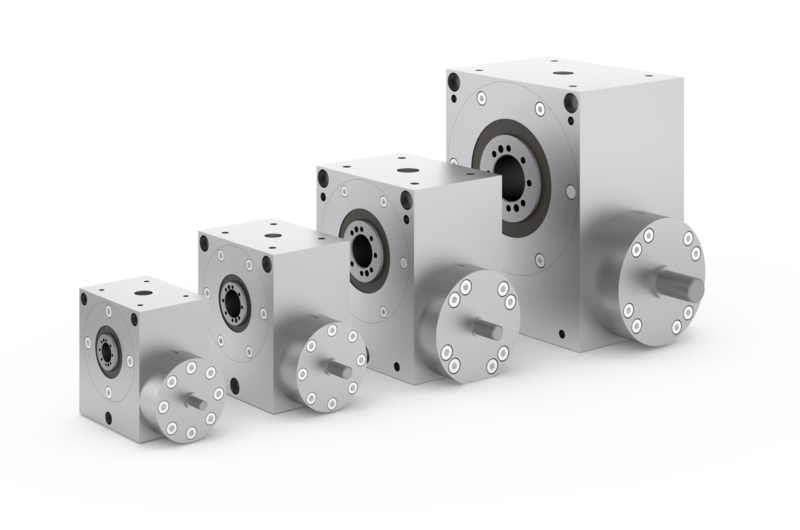 The drive units are built with an minimum backlash which can be adjusted due to the duplex toothing of the gears. The low backlash drive units are built for medium power transmission. The program of low-backlash positioning and drive units of type NHS includes 4 sizes. The sizes are 030, 045, 060 and 090. Each dimension comes with the ratio 30:1 and 60:1. A special clutch on the input and a discplate coupling on the output shaft guarantee largely torsion and backlash free connections and mounting of any type of motor.